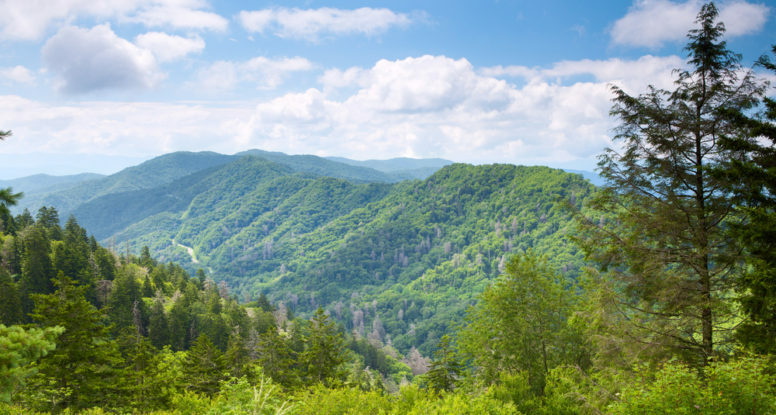 Our open air pavilion offers stunning panoramic views of the Smoky Mountains that you can see for miles! In fact, the views extend from the top of Bluff Mountain and travel over the valley to the other side of Cove Mountain in Wears Valley! Hearthside at the Preserve is considered the highest elevated resort in the Smokies, so you will truly feel like you are on top of the world while staying with us! Be sure to bring your camera to the pavilion and get a family photo with a scenic backdrop that has to be seen to be believed! Another reason you’ll love the open air pavilion at our Wears Valley cabin rentals is that you can enjoy the relaxing atmosphere! After a busy day of exploring the hiking trails at the Great Smoky Mountains National Park or sightseeing in the area, there is nothing quite like kicking back in the rocking chairs at our pavilion. Take a deep breath of the fresh mountain air and enjoy this fantastic opportunity to do absolutely nothing but relax! Our open air pavilion features a unique stone fireplace where you can keep warm while enjoying the atmosphere of the great outdoors! Whether you are staying in one of our 1 bedroom cabins for a romantic getaway or in one of our 8 bedroom cabins with a group, you will love coming over to the pavilion for some warmth and ambiance! The evening is a particularly special time to visit the pavilion as you can get cozy by the fire, and then step outside to admire the night sky filled with thousands of sparkling stars! One of the best things about our cabins is that they all include a fully equipped kitchen where you can store and prepare food throughout your vacation. One of the fun things to do at our open air pavilion is to enjoy a picnic lunch that you made in your cabin! The pavilion features a picnic table where you can gather around for a delicious meal and share some special time together with your family. You don’t even have to worry about any inclement weather since you are sheltered from the rain! 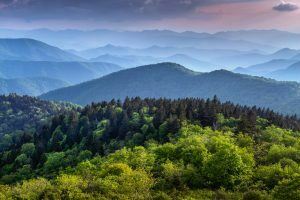 Since the open air pavilion is available to all of our guests, you may have the chance to meet some other folks who are on vacation in the Smokies. After all, people come from all over the world to stay at Hearthside at the Preserve and to enjoy the magic of the mountains! You might even make some new friends! 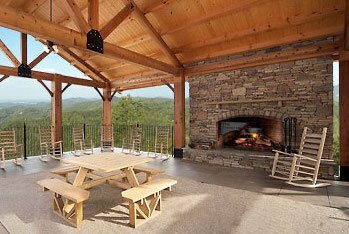 Check out all of our Wears Valley cabin rentals today to take advantage of our beautiful open air pavilion, and all of the other fabulous amenities at Hearthside at the Preserve. We hope to see you soon!